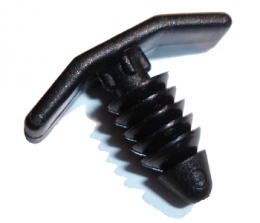 Push in clip / retainer. Made of steel. 1" across top, 3/4" long, fits 1/8" - 1/4" hole. Sold individually. MADE IN THE USA.